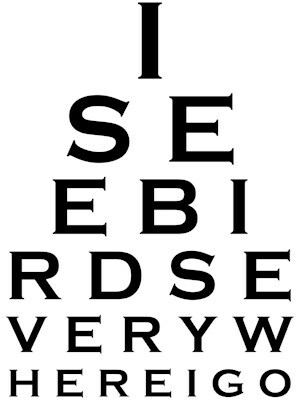 This design looks like an eye chart used by ophthalmologists to test a patient's eyes. Here the chart spells out something any birder can relate to: I See Birds Everywhere I Go. 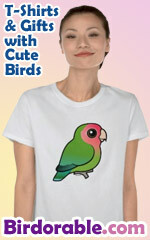 This original design is perfect for birders, whether they have 20/20 vision or not! To order by phone, call toll-free at 1-877-809-1659 from Monday - Saturday 9:00am - 9:00pm EST. You'll need to note the Product Number 030-1262836846 to make your order.